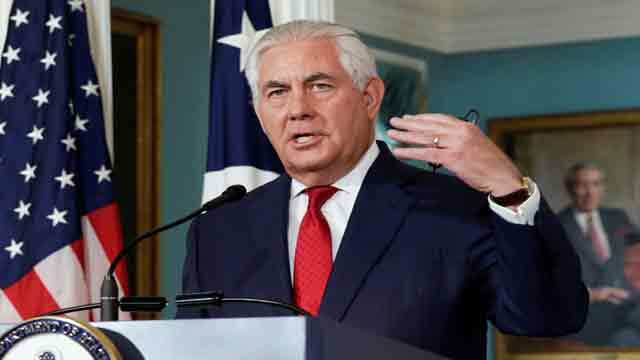 Washington, Jan 19 (Just News): The U.S. Secretary of State Rex Tillerson will travel to London, Paris, Warsaw, and Davos January 21-27. While in Paris on January 23, he will meet with senior French officials to discuss global issues of mutual concern, including Syria, Iran, Lebanon, Libya, the DPRK, and Ukraine, in addition to other areas of bilateral interest. He will also attend the launch of the International Partnership against Impunity for Use of Chemical Weapons. The Secretary will then travel to Davos, Switzerland where from January 24-26 he will participate in the 2018 World Economic Forum. During the Forum, he will follow President Trump’s schedule of meetings. Finally, the Secretary will travel to Warsaw on January 26, where he will meet with senior Polish officials to discuss a range of issues in the strong U.S.-Poland bilateral relationship, including global challenges, regional security, and economic prosperity.